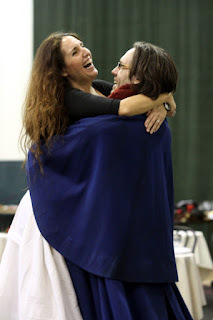 It’s time now to begin meeting our singers for La bohème, which takes the stage very soon at Seattle Opera. 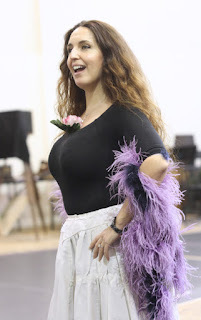 I spoke yesterday with our remarkable Musetta, Norah Amsellem, who brings the special perspective of a Paris native to this classic story of Paris. Norah loves this opera and has lots of experience with it—and we also spoke about a new adventure for her: the triple-threat role of The Tales of Hoffmann heroines, which she’ll be singing for us next season. First of all, Norah, what do you think is the special magic of La bohème? This is an opera that gets done very often, but people never tire of it. Why do you think it has this extraordinary power? I think it’s because everybody can somehow identify with it. The characters are all students, they’re all poor—we’ve all been there. Everybody can relate to the love story here, because at some point in life we’ve been struggling to get somewhere, and falling in love. It’s a very human opera. Now you’ve sung bel canto at Seattle Opera before, when you starred in I puritani; and recently we heard you sing the French lyric soprano role of Micäela in Carmen. Do you sing a lot of Puccini, as well? I’ve sung a lot of Bohèmes—but usually I sing Mimì. So how did you end up singing Musetta here? Oh, it’s because Speight [Jenkins, General Director of Seattle Opera] heard me sing the only Musetta I’ve done, in San Francisco a few years ago, and he loved it so much he asked me to do it here. And I’m always glad to be back in Seattle! Did he ever hear you sing Mimì? That’s very interesting. This is one of the few situations in opera where one singer can, technically, sing two different roles in an opera; these two soprano characters, Mimì and Musetta. Right, because in Turandot, for instance, there are two different sopranos, but they’re really two different voice types. Maybe Montserrat Caballé, who mostly sang Liù, I think at some point she may have sung Turandot. I assume that Liù is the role you sing in that opera. But no other Puccini roles? No; I would love to do La rondine. I can see you doing that! What about Lauretta, in Gianni Schicchi? In terms of Mimì vs. Musetta, do you find you have more of an affinity with one character or the other? Which one is really you? Not just voice, but personality? Yes, I think my soul comes out a lot more in Mimì. Musetta is very flamboyant. She’s fun to do onstage, but in Mimì you can really put a lot of depth and drama. Musetta is a more flighty character. 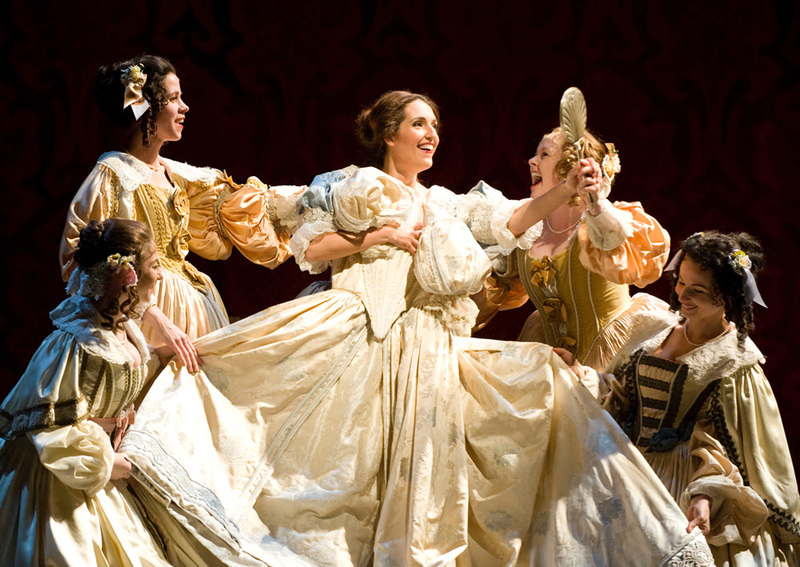 When do we see the real Musetta? In Act Four, you can see her tenderness, her caring personality. Also, depending on the staging, you can see that she really cares for Marcello. That’s why they keep coming back to each other; somehow, deep down, they care for each other. Otherwise it would just be another fling. Which she has a lot of. She wouldn’t get angry if she didn’t care for him; she wouldn’t try to get him back in Act Two. She wouldn’t care. Do you have a backstory worked out for Musetta and Marcello? Do we know how they met and got together the first time? She’s a courtisane, so I suppose they met in some situation where she was with someone who paid her bills, but she met somebody she actually likes. So she goes with Marcello, until she can’t pay her bills any more. But that’s not the case in Act Three—she stays with him while he’s painting the façade, and she’s giving singing lessons. So there she has made a decision to be with him. Speaking of Manon...Paris has always been the capitol of Bohemia, and Musetta in particular is said to be a very Parisian person. You’re a native Parisienne...is there something you bring to this character or to La bohème which the rest of us might not get? It’s a question of the real, French way a courtisane would be. It’s different than in Italy. The courtisanes were supposed to be very well-educated, well-mannered, have a lot of spirit—it took brains. Of course they were beautiful, but you had to be able to hold a conversation and be piquant, be able to tease everybody. It’s a whole package, not just having a nice body. To be charming and entertaining. Yes, you know, courtisanes were brought along with all the wives and people to go out on social occasions. You couldn’t invite somebody who looked pretty but was totally dumb. That’s not the courtisane way. And that’s both Musetta and Violetta in La traviata, which is a role you’ve sung often. Absolutely. But Mimì, in the book, is also a courtisane. That’s true, that’s interesting—in the opera we don’t notice it so much because it’s all offstage, her little affair with the Viscount. Yes, you don’t see it in the opera, but she is a courtisane also. You don’t usually, but you could. The whole first act, where she’s playing with Rodolfo...it doesn’t have to be pathetic, it can be very witty and charming if you do it properly. She’s a seamstress, but she’s also a courtisane. Sometimes you lose that aspect of her, which is a shame because that’s where you can see that in some ways she’s behind it all. I think it makes it a lot more interesting. Yes, there you go. She’s not helpless. She’s French. Is that the French element of the character, as a French woman? That you’ve always got to be one step ahead of the guys? I think so! [laughs] In that epoch, certainly, you had to be charming in that way. And today...I think French women are more liberated. We enjoy teasing, sarcasm...you still want to have a good conversation. Next year you’ll be singing one of the great French operas for us: Tales of Hoffmann. And you’re singing all three of Hoffmann’s lady-friends: Olympia, the robot; Antonia, the sick girl; and Giulietta, who’s another courtisane. Have you sung those roles before? No, no. In fact, I’ve just sung my first Antonia, just before coming here, in Beijing. At the National Centre for the Performing Arts, the beautiful new opera house in Beijing, wow. That was my first time in Hoffmann. I sang Antonia, which was good practice for next year in Seattle. So now you add the other two. Joan Sutherland sang all three roles here in Seattle in 1970, although I don’t know whether there are all that many people in our audience who will remember that performance! Do you have role models, vocally, for this triple play? It’s not done all that often, actually. It’s difficult. Diana Damrau did all three recently in Munich, I think. How did you decide to do it? Well, Speight asked me if I would give it a try, so I sang through the Doll Aria, to see if it would be a possibility. I knew Antonia would be fine. Yes, or any lyric soprano role. I still remember your “Caro nome,” to this day, as being a great wake-up call to me, of what that aria is really about. Yes, I do the E-flats. I have the notes, and I can do it, but I have a lyric voice. So why not? Gilda is actually written for a lyric soprano, not a light soprano. It became a tradition, at some point, for lighter sopranos to do it...but then you can’t hear them in the storm scene, for example. Well, we look forward to hearing all of it next year. One last question: do you have a favorite moment in La bohème, whether to perform yourself, or to watch? 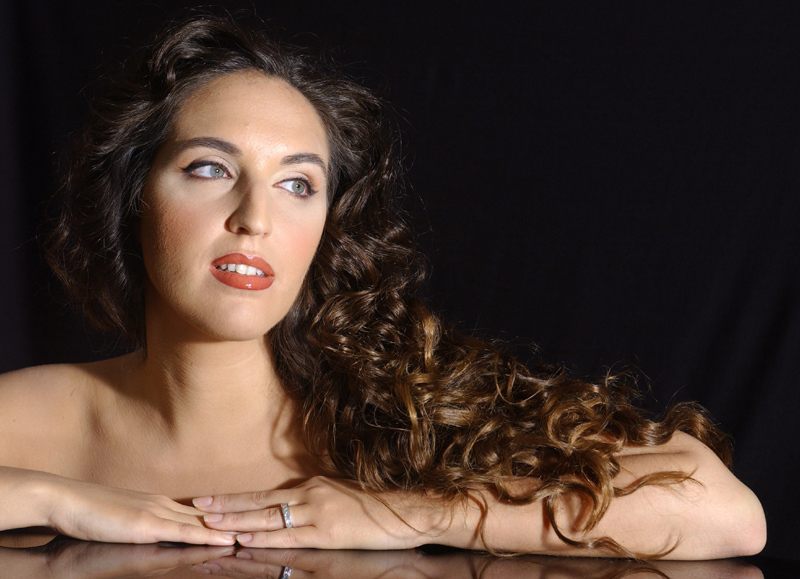 I think Mimì’s scene in Act Three, her duet with Marcello and the aria where she says goodbye to Rodolfo. Good stuff. And this time, you get to relax and enjoy it, with the rest of us!